The wind stopped blowing sometime during the night, the rhythmic sound which helped lull me to sleep now absent. 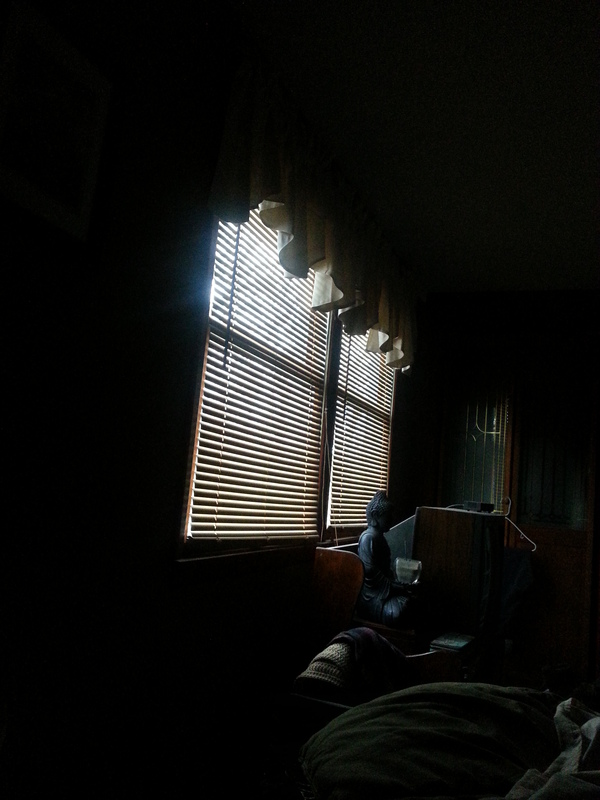 The vague appearance of sunlight as it filtered through the still closed blinds. I turned on the radio and listened to the weatherman announce the temperature. 34-degrees. I stood hesitantly and with cautious fingers I parted the still closed blinds. My eyes fixated on the white tint covering the lawn…it had snowed last night, just enough to ensure we recall Mother Nature’s influence in our lives. Did I mention it is April 20th? I Love Your Use Of Descriptive Language…Eloquent!